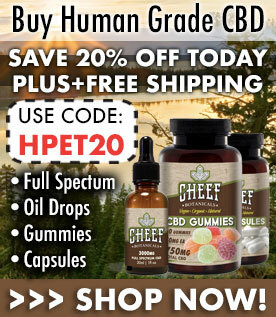 We have been giving our dog Bailey Holistapet CBD capsules for over a month now. We see a difference in how active she is. She has been getting older (almost turning 10yrs) and she has stopped playing frisbee or fetch, she wouldn’t even walk up the stairs to our second story and I just couldn’t tell what it was so I took her to the vet just to find out that she was just getting old.. That’s when my vet recommended HolistaPet and have been giving the pills to her ever since and it has def helped a lot I can vouch for this product!